Keith joined TVW7 in December 1966 and became a Director in early 1967. Before coming to Perth he was with ATV Network in London where he worked as a Senior Floor Manager on Drama. 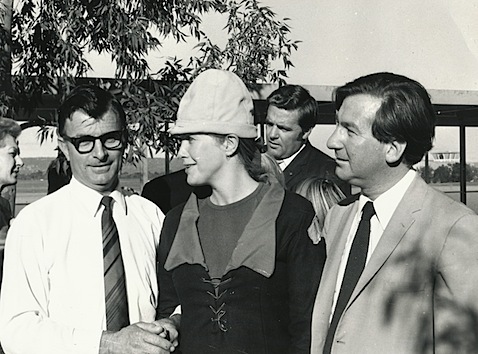 OB’s and Light Entertainment Programs including, Emergency Ward 10, with Australian Cast Members Ray Barrett, Charles “Bud” Tingwell and Vincent Ball. “The Worker” with Charlie Drake, Sunday Night at the London Palladium. Series with Edmundo Ross, Frankie Vaughan, Benny Hill, Morecambe and Wise, Jimmy Tarbuck, Des O’Connor and Dickie Valentine. Australian Guest Artistes often included The Seekers and Frank Ifield. “Oh Boy” with regular performer Cliff Richard, and, a number of Royal Command Performance Shows. 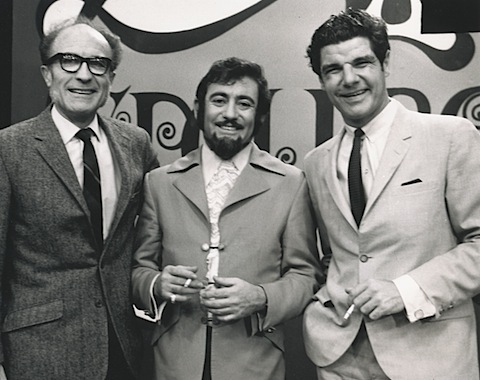 Keith remembers working with Rolf Harris, when he was a guest on one of ATV’s Variety shows, with one of his early performances of “Jake the Peg”. Many TVW Productions, that are listed below, were Directed, or, Produced and Directed by former TVW7 Senior Director Keith Mackenzie between 1967 and 1982. The list shows just how very productive TVW was back in those days. Telethon. The first of the Annual Telethons was in 1968 and ran for 20 hours. One of the star guests was Graham Kennedy. Keith Directed the whole of the 20 hours with Gary Carvolth as the Studio Floor Producer. Hole in One – Golf and Open Day from the Studios and Grounds of TVW. Tennis from Kings Park including “The Federation Cup”. Miss Universe returning home to, and touring, South Africa. Seychelles Coup and a follow up 1 year later. “No More Bulldust” – The (New) Eyre Highway. America’s Cup Challenge in Rhode Island. Johnny Cash Special – “The Last Frontier”. This was the first Color OB in Australia covering his Concert at the WACA Ground followed by location Filming in Kalgoorlie and around the South West. Roberta Flack in Concert at The Entertainment Centre. John Denver Award segment live to the USA from The Entertainment Centre. Official Opening of the Mount Newman Mining Project – A Film covering the Mining, Processing, Rail Transporting and Shipping Processes, and, an OB from the Mount Whaleback Mine site. The OB truck was flown to Newman in a Skyvan aircraft. A “Tonight Show” OB live from Eucla on the WA/SA border to celebrate the sealing of the last section of The Eyre Highway. OB’s covering the Royal Visits of HM The Queen, HRH The Duke of Edinburgh and HRH The Prince of Wales. Military Tattoo from Perry Lakes Stadium. Mickey Mouse’s Birthday Party from Perry Lakes Stadium. Air Displays from the Pearce RAAF base. A Highlight for many of the TV crew was to be flown to and from Pearce in an RAAF DC3 Dakota. A Rock Mass from St.George’s Cathedral. The State Funeral of Sir David Brand. The Official Opening of the Perth Concert Hall. Kamhal in Concert at the Perth Concert Hall. Alf Garnett on Campus, a performance at the University of WA. A Christmas Special from Princess Margaret Children’s Hospital. Sports Star of the Year. Concourse D’Elegance – Classic Car Show. Close-Up – an Interview series with Syd Donovan including a Close-Up Special “Gouldham is not Guilty” where Syd was joined by Reporter John Hudson. The Birdman Rally combined with Offshore Power Boat Racing from Two Rocks. OB coverage of the annual Christmas Pageant. London to Sydney Car Rally – Perth stage at Gloucester Park. Backstage with “Fiddler on the Roof” at His Majesty’s Theatre. The Russian Gymnasts Special at the Entertainment Centre. The Chinese Table Tennis Team. A Concert from the Flight Deck of the Aircraft Carrier HMAS Melbourne. Jimmy Edwards Special.- Jimmy was a British Comedian and was probably best know for his BBC series “Take it from Here”. Gary Carvolth or Jeff Newman were co-Producers on some of the Light Entertainment Productions that Keith Mackenzie Directed. Some of the other Light Entertainment Programs were Produced and Choreographed by Brian Smith. Newsreader Peter Waltham presented a number of Miss Western Australia Telecasts and also Sports Star of the Year. Peter also Presented and Commentated on many of the Sports OB’s. Keith also worked very closely with Max Bostock on most of the Light Entertainment and Awards Programs. At the time that Keith joined TVW Max was Production Manager. Max always believed that it was a team effort, and, of course, he was the Team leader. Max never took an on-screen credit but was actually the Executive Producer and, in today’s terminology, would have been known as Head of Production. Those programs included Club Seventeen, In Perth Tonight, Miss West Coast, Miss Australian Beach Girl, New Faces, Peter Maxwell Special, Graham Kerr series, Birdman Rally, Hole in One Day, Spellbound, the Christmas Pageant and many others. Max also had special responsibilities for major Productions like Bob Hope Down Under, Miss Universe and Telethon where he was involved in the projects from start to finish. Above–TVW7 Production Control Room-Director Keith Mackenzie with PA Diana Stanbury. Many of the Documentaries that Keith Mackenzie Directed were Presented and Produced by News Journalist and Reporter John Hudson and Filmed and Edited by Bill Meacham. 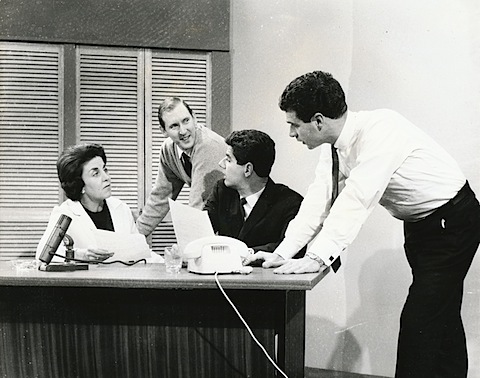 “In Perth Tonight” A later series of “In Perth Tonight” was Presented by Garry Meadows and Joan Bruce. They also had a Breakfast show on 6PR at the time. This series of IPT was Produced by Gary Carvolth and Keith Mackenzie and Directed by Keith Mackenzie. The Choreographer was Danny Harford. An even later “In Perth Tonight” style series was Presented by Chard (from Australian Soap No. 96) and was Produced by Jack Hylton Jnr, the son of the famous British Big Band leader Jack Hylton, who Keith had worked with in London. An IPT Special was “In Eucla Tonight” live from Eucla on the WA/SA border to celebrate the sealing of the final section of the Eyre Highway. Keith recalls- When we went to the Border Village Motel in Eucla, for a planning meeting, we looked around for any local talent. To our surprise we met an Interstate truckie who did a Shirley Bassey impression. We persuaded him to be back in Eucla on the night of our show and he performed as Burley Chassis. 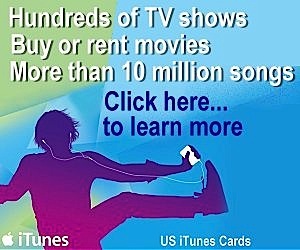 “Spellbound”, was a series that revolved around a “Tonight Show” with Guests. The show was way ahead of its time and Perth was one of the very few places in the World where a Hypnosis/Post Hypnotic suggestion TV Program was allowed. The Presenter was Garry Meadows, the Hypnotist was Martin St. James and one of his Post Hypnotic suggestion discoveries from the audience was the “Moon Man” Bill Renfrey, a car salesman who became a Perth celebrity. The show was rehearsed carefully, firstly, with Martin’s segments, where Garry and the guests were kept away from the studio, so that they would have absolutely no idea what to expect on the night, when Martin’s subjects would be cued to do some outrageous things, and generally disrupt the Tonight Show. Then, Garry’s and the Guest’s segments were rehearsed. Martin also performed on the show some memory, telepathy and extra-sensory perception segments with his wife Lee. “Spellbound” was Produced by Jeff Newman and Keith Mackenzie and Directed by Keith Mackenzie. “Disney on Parade” was an arena show staged in a very large Circus Tent (before the days of The Entertainment Centre) and brought to Australia by TVW. 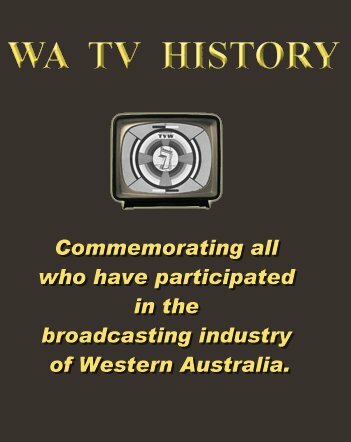 TVW assisted an American company to make a TV Special of the show while it was in Perth. The Americans, naturally, wanted the show to be in Color, but, no Color OB facilities were available at that time in Australia. Eventually 2 Color cameras were tracked down and shipped to Perth, but, most of the time only one of the cameras was operational. Many performances were recorded to achieve the multiple camera angles required. The American Director was Stan Harris and Keith was his Production liaison. It later became an Editing nightmare for ITN in London who were contracted to edit and piece the show together. “Flintstones on Parade” was an arena show at the Perth Entertainment Centre with all the Hanna Barbera characters. TVW made a TV special of the show for America which was Presented by Michael Landon. The Director was Keith Mackenzie. Post Production was done in Los Angeles. In order for Keith to Direct and Edit “Flintstones on Parade” it was necessary for Keith to be accepted as a member of the Directors Guild of America. All Directors working on Programs for Television Stations in America have to be DGA members. Normally an American Director would have had to come to Australia to Direct the show, but, the American Producers persuaded the DGA that Keith was the best qualified and was in Perth. The DGA agreed and Keith was accepted as a member. The entrance Fee into the DGA at that time was $US 3,000, rather a large sum of money. However, Sir James Cruthers very generously paid Keith’s joining Fee. Keith has remained a Director member of the DGA ever since. “Miss Universe” was an American TV epic. TVW hosted the event in Perth under the enormous responsibility of Max Bostock. Many of TVW’s Technical and Production staff worked on the Program for CBS Television. One year before, a TVW team went out to Mexico with Max, for the previous year’s Miss Universe, to assist the Americans and to generally learn the Production procedures in preparation for the Perth Spectacular. There were segment locations used all over Mexico and the main show was staged in Acapulco–not a bad assignment!!. 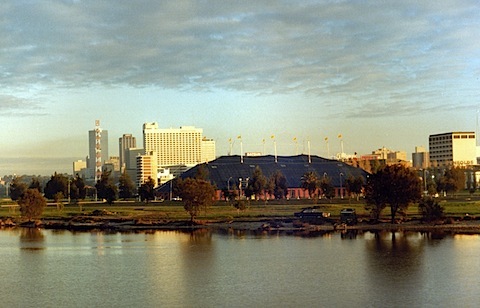 In Perth, many West Australian locations were used to shoot segments with the Contestants, and, a “Beauty Film” was shot by Keith Mackenzie and Cameraman Bill Meacham to showcase the State of WA. A complete TV “Fly-away” Control Room was built on site at the Entertainment Centre for the Production. The main show from The Entertainment Centre was live to air at 0900 hrs, a time not really suited to a Production of this type. The reason for the early Transmission from Perth was, so that it would be live into New York at their time of 2100 hrs, their peak viewing time. Members of the TVW Production team working with Max, and who went to Mexico were, Marion Leyer, Brian Smith and Keith Mackenzie. “Bob Hope Down Under” was another show from the Entertainment Centre. 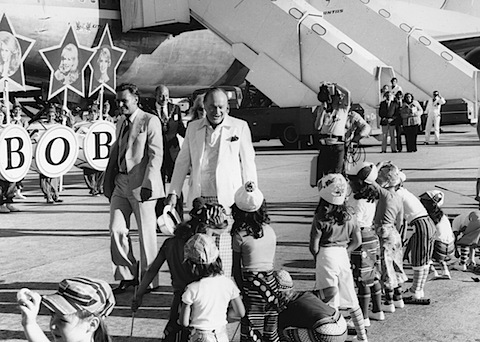 Bob’s company, Bob Hope Productions, wanted a TV special made of the show. All Bob’s traveling shows were made into TV Specials for NBC. Facilities were provided by TVW, his regular TV Production team came with him from Los Angeles. His Producer was Australian Chris Bearde who was based in LA, and, who was also one of the Producers of “Laugh In”. The technique was to isolate record all the cameras, which is to record the output of all of the cameras all of the time, and, also do a very basic rough cut as the show was going along, but, it would really be put together in Post Production in Los Angeles. During the recordings his American TV Director seemed to be overwhelmed by the fact that he was in Australia, and, according to Bob, was not doing his job to Bob’s satisfaction. So, at the end of the recording of the show, Bob fired him. Now they had a problem, who was going to edit the show. Chris Bearde had struck up a very good working relationship with Director/Producer Keith Mackenzie, who was Chris’s Assistant on the project, and, generally troubleshooting. Chris persuaded Bob that they needed Keith to go to Los Angeles to edit the show, which he did. All of the above mentioned Programs, together with many others Produced between 1959 and the early 80’s by TVW’s Producers and Directors, marked some of the Golden Days of TV Production in Perth, and, all made possible by the management, and the enthusiasm and encouragement of Sir James Cruthers, Brian Treasure and Max Bostock. They not only wanted to make Programs, but, brought many of the Concert and Performance Acts and Arena Spectaculars to Australia. Keith Mackenzie left TVW in July 1982 to return to the UK to join BBC Television’s Sport and Events Department as a Producer/Director. Keith Mackenzie. Post TVW career July 1982 -Present. Executive Producer, Editor and Director with BBC Television Sports and Events Department. World Cup, Domestic and International Cricket where Keith also renewed his working relationship with Australian Commentator Richie Benaud. V.E. Day Concert in Hyde Park. “Anything Goes” a series from the Blackpool Tower Circus. February 1997 – Present. – – Freelance Director/Producer. Host Broadcast Director for the Malaysian Formula One Grand Prix for TV3 Malaysia. International Cricket in the UK, Sharjah, Dubai, Abu Dhabi, Bangladesh, Sri Lanka, Pakistan and the West Indies. Historic Motor Racing and ‘The Festival of Speed’ from Goodwood. Class 1 Offshore Powerboat Racing around the World. Opening and Closing Ceremonies – 1999 Rugby World Cup. One of the guest performers at the Opening Ceremony in Cardiff was Rolf Harris. World Superbikes Series around the World. Show Jumping, Snooker, Darts, Squash. Champions League Football around Europe. 2002 Commonwealth Games in the UK. 2003 Cricket World Cup – South Africa. 2004 ICC Cricket Awards Show in London. 2004 Champions Trophy Cricket in the UK. 2006 Champions Trophy Cricket – India. 2007 Cricket World Cup – West Indies. 2010 Commonwealth Games in Delhi. Sports Events for Fox Sports in Australia. 2010-2012 Hong Kong Sixes Cricket. 2014 Thomas and Uber Cup World Badminton in India. 2014 Kabaddi, around The World, an Indian Sport. 2015/16 Pro Wrestling League and Premier Badminton Tournaments in India. 2017 Cue Slam in India, a new Snooker and Pool Format. 2018 Commonwealth Games on The Gold Coast. 1994 Winner for Best Sports/Events Coverage in Real Time – The Grand National. 1996/97/99/2000/2001 Five Nominations for Best Sports/Events Coverage in Real Time – Formula One Grand Prix Motor Racing. 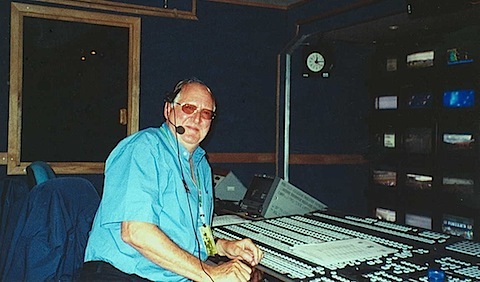 1998 Winner Best Live Sports OB – The British F1 Grand Prix at Silverstone. 1999 Winner Best Regional Live O.B. Event – Historic Motor Racing at Goodwood. 2000 Winner-Image of the Year-Michael Schumacher crash at Silverstone- British F1 Grand Prix. 1994 WINTER OLYMPICS Silver Rings Olympic Award for 4 Man Bobsleigh Host Broadcast Coverage in Lillehammer Norway. Keith also worked with BBC Television Outside Broadcasts on the design of various new OB vans, including the choice of equipment. He consulted on, and designed, a Studio and OB system for a new Racecourse complex with its own dedicated HDTV facilities. This also included consultation on the new Floodlighting system. Keith has been involved with the upgrading and new design of TV facilities, including decisions on equipment, and advising on building design, of new Studios, OB units, Television Theatres, Conference Centres, Sports Stadiums and Entertainment Arenas in the UK, Yemen, Abu Dhabi, Sharjah and Bangladesh. Keith Mackenzie returned to Perth in August 2005, though continues to travel around The World Directing Sports Events, including Cricket, Badminton, Motor Racing, Golf and Kabaddi. He was one of the Host Broadcast Producers/Directors on The Commonwealth Games in Delhi in 2010 and The Gold Coast in 2018. When not Directing, he is kept busy living in the Perth Hills with his many animals and being a Tour Guide around WA. ON-AIR PRESENTATION- “The Way It Used To Be” as recalled by former TVW Senior Director, Keith Mackenzie. When you watch Television in Australia, today, in 2009, and view a Commercial Channel’s ON-AIR Presentation of Programs, Promos and Commercials, it’s all being Transmitted to you from Melbourne or Sydney. It doesn’t matter whether you live in Adelaide, Brisbane or Perth, your local Channel’s content (unless it’s the local News or a local “Live” Program) will be coming from Melbourne or Sydney, and, it’s all automatic, generated by a Computer, and, once programed, no Human needs to be in attendance. Not so in years gone by though– At TVW, back in the 60’s, when I joined the Company, all the TV Directors were rostered on to one of two, daily, 8 hour shifts, as Presentation Directors, referred to then as Coordinators. In those days we didn’t have TV on the air for 24 hours a day like today. We sat in a Control Room and put the TV Station to air. That meant sitting at a Vision Mixing panel and switching between Programs, Commercials and Promos, and, also Vision Mixing the evening News bulletin. Items would be cued up with a run up time for the Sound and Vision to stabilize, usually of between 5 and 10 seconds. We had to run the item by calling the Film or Videotape operators via a Talkback system. We also inserted Slides from Telecine for some items. We worked off a Presentation log with every item detailed, and it was necessary to make sure that everything dovetailed together neatly, and, most importantly, that we didn’t miss, or mess up, any Commercials. That would mean that the Company lost revenue. If that happened, we’d then have to try and find a slot to do a Make-Good, which meant running the Commercial again at no cost to the client. The Presentation Team consisted of six people, the Director, Audio operator, Telecine operator, Videotape operator, Booth Announcer for Voice overs, and, an Engineer in the Master Control area to monitor the technical output. All very different to today’s On-Air Presentation operation.